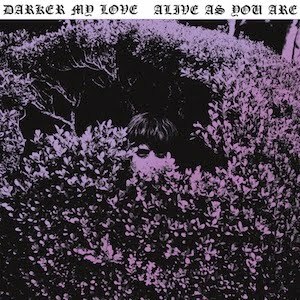 Phase Nine: DARKER MY LOVE "Alive As You Are"
DARKER MY LOVE "Alive As You Are"
I spent all of January 2010 holed up with Darker My Love and Drew Fischer in San Francisco's Hyde Street Studios, and later up in Cotati's Prairie Sun Studios, recording and mixing their album "Alive As You Are", which is released today on Dangerbird Records. We did the tracking in two weeks and the mixing in a little over one (or something like that). For those of you thinking you might hear some Freescha sounds on this record, you won't find them here. My main goal was to help them get the sound they already knew they wanted for this record down onto the tape. However, fans of some of my other musical projects The Surf The Sundried, Canyon Country, or Orick may find a musical kinship with this record as well. I enjoyed working on it with them and I invite you to check it out and see what you think. You may find something new that you like here. And for those of you that want the Full Analogue Experience, I would suggest listening to the vinyl version. The whole album was recorded to tape, and mixed from tape on an analogue board back to tape. For the CD, some of the songs were remixed digitally, but the vinyl version contains all of the original analogue mixes.